Another washday has come and has gone. 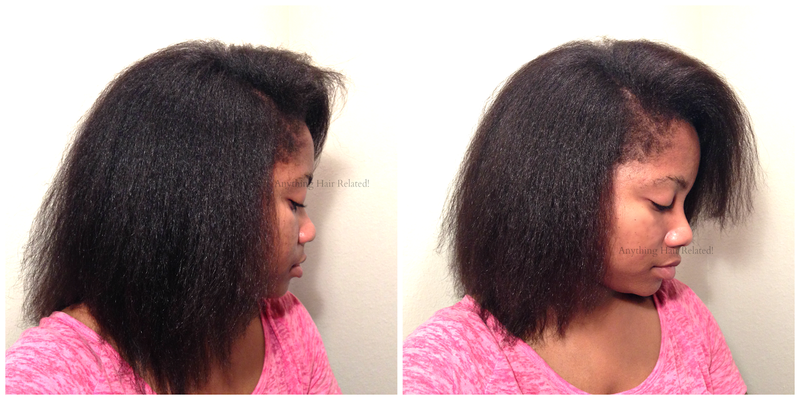 Today, I decided to flat iron my natural hair. It's been awhile (2 months). 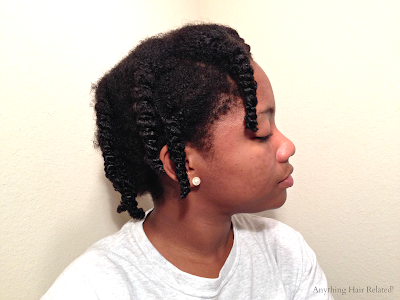 For starters, I finger detangled my hair with Shea Moisture Coconut & Hibiscus Extra Moisturizing Detangler for Kids. I love the Shea Moisture Kids line so far. I also have the Curling Buttercream for Kids by Shea Moisture. I'm not a kid but I thought that anything marketed for kids must be gentle because some kids have tender scalps and hate getting their hair styled. Surprisingly, I was correct, It's so moisturizing and detangling. Back on topic, I parted my hair in sections with my fingers and sprayed my hair liberally with the detangling spray. I gently ran my fingers from the ends and worked my way to the roots to release shed hair. I also pulled my hair taut and smoothed each section downward until each section felt smooth. Once I finished a section, I twisted it and moved to the next. This process took an entire hour. I am slow at finger detangling but doing so before shampooing/conditioning really cuts down tangles. After finger detangling, I untwisted each twist. 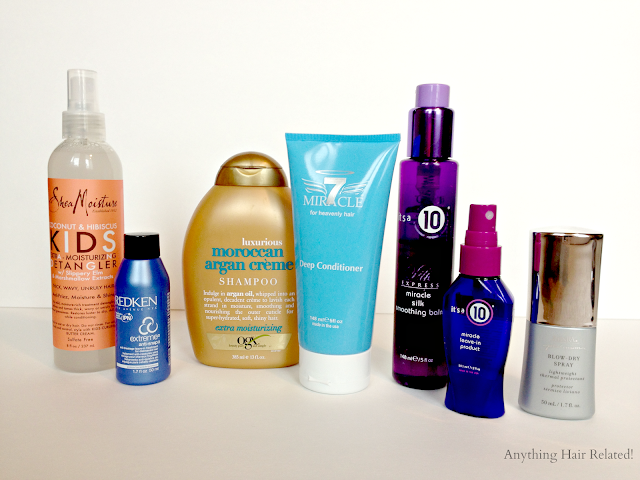 Then, I shampooed with Organix Moroccan Oil Creme Shampoo. As usual I used my tangle teezer (not pictured but check out what it looks like HERE) to exfoliate my scalp of any dead skin cells. 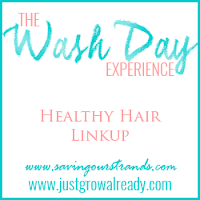 I was mindful the entire wash time to keep my hair smooth to avoid roughing up my cuticles and re-tangling any strands. Next, I deep conditioned with Miracle 7 Deep Conditioner and smoothed the conditioner throughout my natural hair. 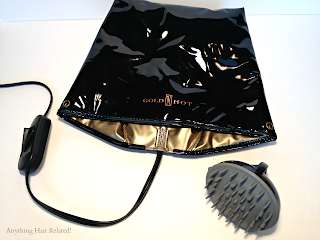 I then covered my hair with a plastic cap and sat under my Gold N Hot Conditioning Cap for one hour. Lastly, I used my Scalp Invigorator for two minutes to massage my scalp and increase blood flow. Next, I rinsed out the deep conditioner and added a pea sized amount of the deep conditioner to my hair again for added softness. After 1 minute, I rinsed the deep conditioner out and wrapped my hair in a t-shirt for about 5 mins. Then I applied my leave in's. I sprayed It's A 10 leave-in and Kenra Blow Dry Spray in the palm of my hand and evenly distributed it throughout my natural hair. Next, I squeezed a little Redken Extreme Anti Snap in my hand and distributed it on my ends. Lastly, I pumped one squirt of It's A 10 Smoothing Balm in my hand and smoothed it through my hair and along my edges. brush along with the concentrator nozzle that came with my Conair Yellow Bird Blowdryer. However, that was a mistake! My ends were knotted and there were small broken pieces of hair everywhere. Unfortunately, when I realized what was going on, the damage had been done. Note to self: If a certain technique is working...stick with it! 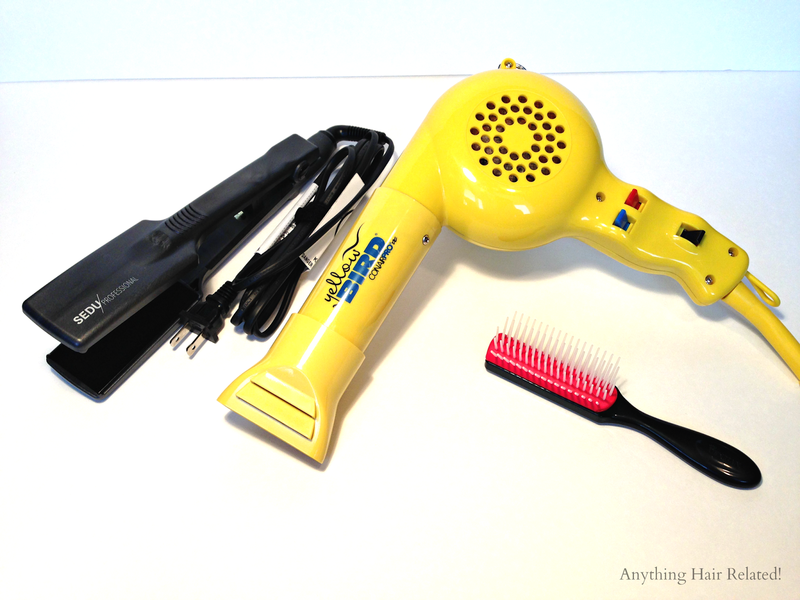 From there, I simply popped on my trusty comb attachment and proceeded to blow dry my hair. After blow drying, I proceeded to flat iron with my new SEDU Professional Flat Iron (My new favorite iron of all time). I initially set the iron between 320 and 360 and did one slow pass throughout my entire head of hair. I normally flat iron on the highest setting but I didn't know what temperature I could use to reach my desired flat ironed look on this new flat iron. On my last flat iron, I straightened my hair on 400 degrees but it was the only temperature that I actually liked my flat ironed results. After lightly flat ironing I trimmed my hair. I'm new to trimming my own hair. This time around I did trim a lot more than needed to be trimmed but I'm enjoying the learning experience. My ends were actually in good shape and only needed dusting. The photo above is before and after the trim. Also from the photos above, my hair was straight but it was very puffy. I decided to crank the flat iron up to 410 and give it another heat pass. I applied a small amount of One N Only Argan Oil serum throughout my hair before I began. I worked slowly and flat ironed smaller sections. 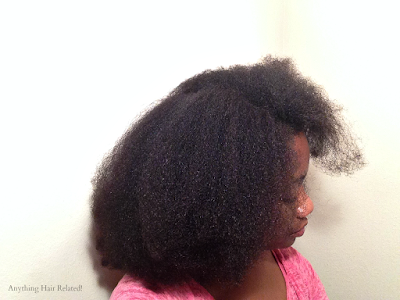 After I finished, I rubbed a small amount of Coconut Oil throughout my strands for added shine. Overall it was a great wash day and happy mistakes were made. 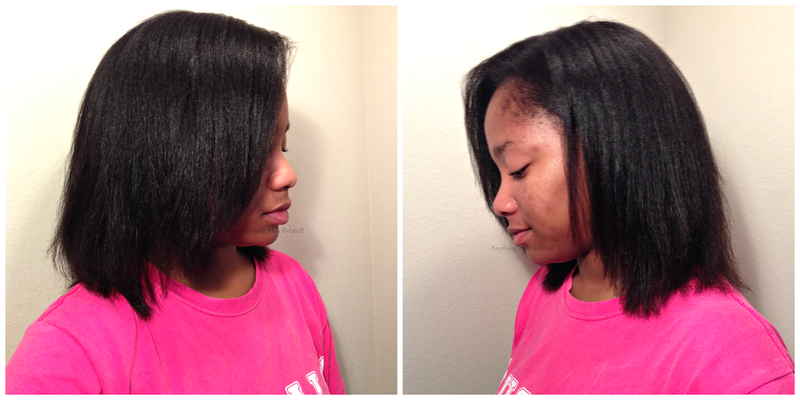 Beautiful flat ironing results chica! Your ends look amazing! I want to be just like you when I grow up. LOL! How long does your straight hair last? Lol no I need to be like you. Lol and my results last until the next wash day as long as I wrap it every night.